my my how this year has whizzed past, can you believe we are very much nearly at the end of 2013, quite shocking isn’t it? well we are! no doubt christmas lists have already been written by many children and adults alike, shopping may or may not have commenced, and hidden away in the back of cupboards and under the stairs. menus are being pulled together for fabulous festive dinners and treats and goodies are being stashed away in the larder for the whole family to enjoy together over this special time of year. the very clever people over at the white company (i might be biased) have excelled themselves this year, travelling the world in search of christmas gift ideas to help you celebrate the festive season in style. read about the 7 get ready steps or flick through the gift guide, where you can shop from the inspirational products straight from the page. there is also an online gift finder which can help you find that perfect gift to suit your budget. the white company focus is on spending priceless, quality time with family and friends, and that christmas is very much all about the children. watching as the excitement builds, decorating the tree together, those family traditions of a new pair of christmas pyjamas, the hysteria of unwrapping the presents and dad snoozing on the sofa following a sumptuous turkey feast, whilst the rest of the family cuddle up for a christmas day movie. what joy. the little white company, especially for the little ones, would like to offer all you lovely HPMcQ readers a chance to win this fabulous ride-on car. this smart little vintage style car is from Vilac a specialist french toy maker, made from striking red metal with black rubber tyres. the toy car, sports beautiful details like a textured front grill and shiny little petrol cap, it’s all you need to get whizzing straight into 2014, beep beep! – this competition is open to residents of the UK only aged 18 years or over, except for those associated with the white company or their families. – the closing date is midnight on the 4th december 2013. – the winner will be chosen at random by the random winner generator on rafflecopter and notified within 5 working days by email. – the winner will need to provide us with a postal address for the car to be posted to. the white company will arrange delivery. if the winner does not respond with a postal address within 14 days of contact the giveaway will be re-drawn and the prize re-allocated. – the winner must have fulfilled the mandatory requirement. – the prize is not transferable, and there is no monetary alternative. – HPMcQ is responsible for the first part of the promotion, which is the publication and adjudication of the competition. fulfilment of the prize is the responsibility of the white company. disclosure: no compensation was received for running this giveaway. i am indeed an employee of the white company, however the blog of HPMcQ is purely personal and not connected to the white company in any way. My grandson or grand-daughter – when he’s born. What I mean is I would keep it until I have one! My nephew I think – although it would look divine in my daughter’s playroom, shame she’s too big for it! My son would adore this. I think he’d have it up on jacks pretending to be a mechanic as he’s facinated by the garage round the corner from our house. LMC had a ride on a white one of those when we were at the White Company Christmas in July event and fell completely in love with it. As did I! I’d give this to my cousin’s son. WELL… If I didn’t give it to Rocky I’d be in a lot of trouble! what a stunning toy this is! also, Vilac is one of my favourite brands for these kind of things – good choice! my gorgeous little boy would absolutely adore this!! My nephew would so love this. My 3 year old grandson would be the lucky boy! Although I think I’d keep it at our house so I know it would be looked after. WOW my nephew would love that!! If I won this car my 18 month old grandson would love it! My daughter, Eleanor, would get this- all the ride on toys we’ve had have been her big brothers first and he always pulls rank! She’d love something swish like this for herself. What a lovely car. I think I would keep it for myself (you’re never too old to ride a car)! My niece would be shooting around on this in no time! it would be for my grandson…via my 4yr old who may have a quick spin! 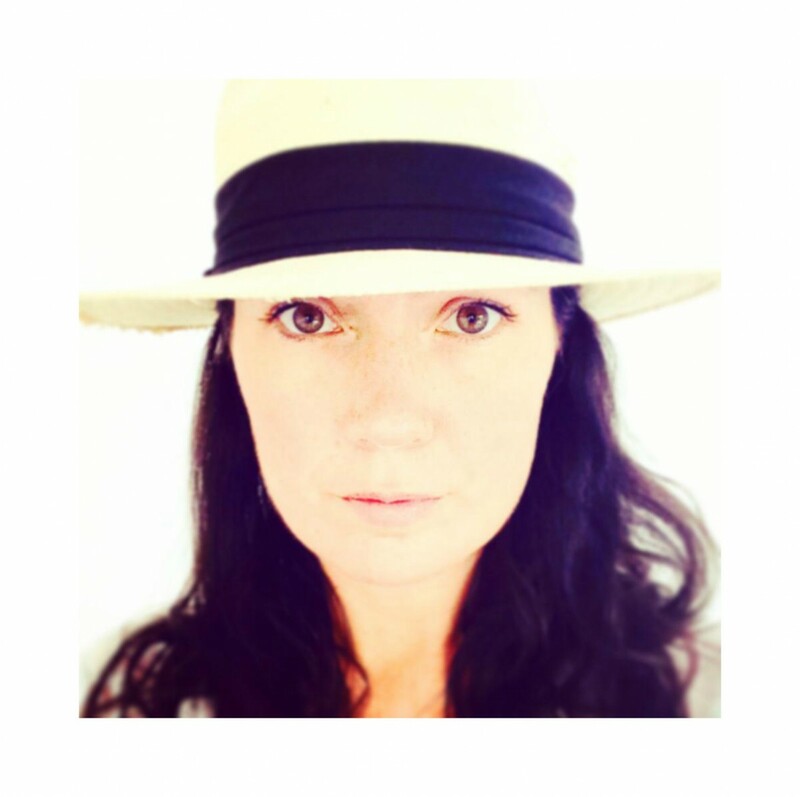 My youngest daughter – she would feel like Noddy! My little nephew – his new brother or sister will be born in the middle of December and this will make up for it!! my little boy. he would absolutely love it! This would be for my baby nephew Barney if I win. My two year old son would adore this! My little boy – he’s obsessed by ‘brum brums’! My granddaughter would be the happy recipient of this. She already points to red minis and shouts ‘granny’s car’. This actually reminds me of a car my cousin had when we were young. Everyone wanted to visit him so they could have a go! It was well used by everyone in the family. My gorgeous god son Dean – he’s car mad! My lovely grandson would be the owner of this cool car if i was lucky enough to win. My nephew, Noah, he’d be thrilled. My little boy, he would love this. My nephew. He would love this! my son would be over the moon if he was given this! I would give it to my little boy, he would be absolutely thrilled with this. For my son Harry, he would absolutely LOVE this!! My great-niece Mia would adore this. I’d give this to my 2 nephews. Its gorgeous and I’d love to keep it but we have no room! They would cherish it! Our gorgeous little Daisy would love this – if she could get Daddy and Grandad to leave it alone long enough for her to ride it! my eldest 2 boys (4+6) have bikes for christmas so this would go to my youngest Sebastian (2) so he can join in outdoors. I would give it to my 18 month old – although I am sure his big brother would love it too. My beautiful little daughter would love this. my little boy! i think hed love it! It will be a gift for my little son Toby who is going to be one year old at Christmas Day. My 16 month old boy. He would absolutely love it! If only I could be four again! It’s beautiful! My son Thomas, it would make his Christmas! 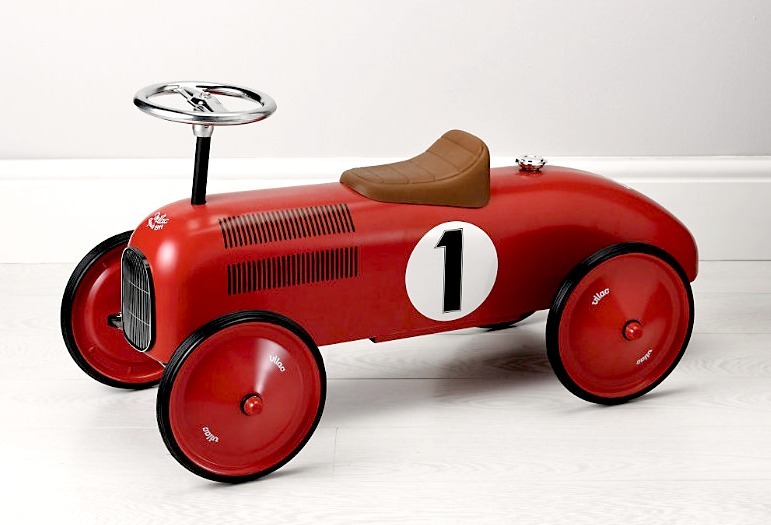 I have a little boy aged 21 months who absolutely adores cars & anything with wheels on! It would certainly make his Christmas to have a lovely present like this! My little Niece, she would love to zoom around on it! My two youngest boys Isaak and Archie, would love this!!! My nephew and niece would love this car. My gorgeous little girl Heather and my nephew Ethan. The would have hours of fun playing with this. I have two little boys that would love to take turns riding and pushing each other on this. my nephew Finlay who would be over the moon! My nephew – He is just 3, and he is simply car crazy! My son would love this. Its his fav colour aswell. My lovely friend who has just adopted a gorgeous little boy, age one. It’s a match made in heaven… Happy Christmas to them both! my daughter, she’d love it!